Pollutant-infused stormwater is one of the biggest challenges facing watersheds and water quality. With few exceptions, most Neponset Watershed stormwater enters the river untreated – a major contributor to Neponset River’s failure to meet fishable/swimmable water quality standards during wet weather. 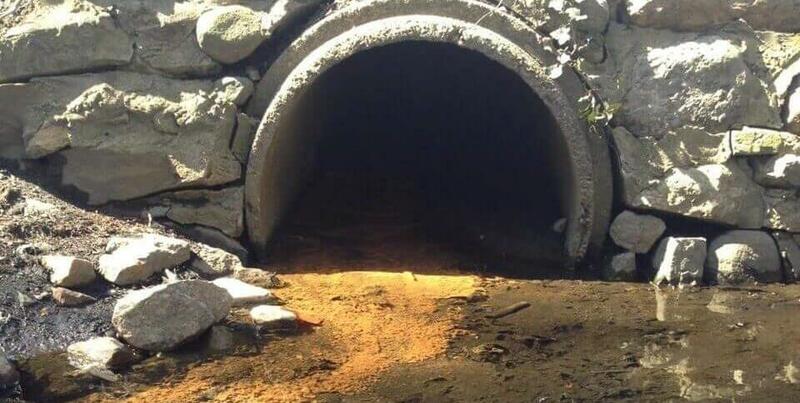 Over the past few years, NepRWA has been working with towns to find the best places to install structural stormwater Best Management Practices (“BMPs”) to help to treat stormwater and clean it before it discharges to the river. to make recommendations of the types of BMPs that would be most effective at each location. The Watershed Association has been working with a number of watershed towns to locate the best locations to install stormwater BMP retrofits. As of writing, we have completed work in Sharon, Stoughton, Walpole, Canton and Dedham. Work continues in the Town of Milton, to be completed this summer. In each town, the Watershed Association has worked with the DPW, Engineering, and Conservation Commission staff to make recommendations for BMPs. We placed an emphasis on publicly-owned locations as potential BMP locations. We considered town-owned, Department of Transportation, Department of Conservation and Recreation, and Federal lands as top prospects. We then whittled-down our recommendations to the 10 best locations at which BMPs would not only be most effective but also that had the fewest barriers to implementation and could treat the largest amount of stormwater. Project partners completed further investigations in the field to yield the top three or four locations in each town, and a consulting engineering firm produced preliminary BMP designs. Find out more about the BMP Surveys completed in Sharon, Stoughton, Walpole, Canton and Dedham. View the final reports, below. Each report details survey locations and methodology. The reports also provide a more comprehensive explanation of the results in each town. For example, for the top three or four locations in each town, find information on the size of the proposed BMP as well as its potential pollutant removal efficiency. You also can find cost estimates both for implementation of the BMP practice as well as long-term maintenance costs. Now that we have located these great locations and recommended BMPs, it’s time to make things happen! The Watershed Association has been working with the towns that have initial surveys, to locate funding for BMP installation. The Watershed Association also continues to pursue ways to partner with watershed towns that have not been surveyed. If you would like to see your town surveyed for BMP sites, we encourage you to write or call the Town’s Engineering Department, Department of Public Works, and/or the Conservation Commission. Let them know about the BMP work of the Watershed Association and that you would like to see it duplicated in your town. For more information about these surveys and their results, please contact Chris Hirsch, Environmental Scientist, Hirsch@neponset.org or 781-575-0354 x302. Special thanks to ESRI for donation of ArcGIS and ArcPad software that was used during this project. Click here to learn more about stormwater BMPs.